I am super excited and happy to announce I’ll be judging the 2016 Ashland Culinary Festival in Southern Oregon for my third year in a row! It’s also super cool this is their 10 year anniversary, Happy Anniversary to all of the amazing people that bring this festival together every year. I am humbled to be a part of this family. I could not be happier for this event and all of the awesome things going on all weekend long. It’s going to be sweet! Being that it’s the 10 year anniversary, they are starting off with a bang! Thursday November 3rd the Ashland Chamber of Commerce is hosting the Ultimate Top Chef Dinner at 6:00pm. This is a multiple course and drink pairing event cooked by past chef winners of the culinary festival. Basically an epic dinner with courses made by the best chefs in Ashland to start off the weekend, what’s not to love?! Tickets are available now, and they are limited, so grab your seat! I also had a chat with last years ACF winner, Josh Dorcak from Scarpetta. He’ll be cooking a course for the Top Chef dinner! We talked about his approach to food and how it’s changed over time. Also, his love of Portland food scene, food service, and what’s going on for this years competition. Josh’s approach to food is what won the competition last year. It was clean, straightforward, executed perfectly, beautiful, and simply a pleasure to eat. It’s a gift to come by food like this and we talked about how he cooks with what he has and preparation is a main ingredient. While it may seem simple and clean in front of the diner, so much preparation, forethought, and technique went into what ends up on the plate. Josh’s basic approach to his cooking for the competition come down to a few things; it’s a matter of using what’s in front of him, applying his years of experience as a chef, and simply cooking. No fluff, but common sense. For Josh, it’s all about no stress, being creative, good technique, and a beautiful presentation. It comes down to his philosophy in life, which is easy to see in his food. Being a part of the community, showing up, and having unity among Ashland chefs is why we will be seeing him compete again this year. We are super happy about it! Alongside Josh we will see a few new faces at this years culinary festival. 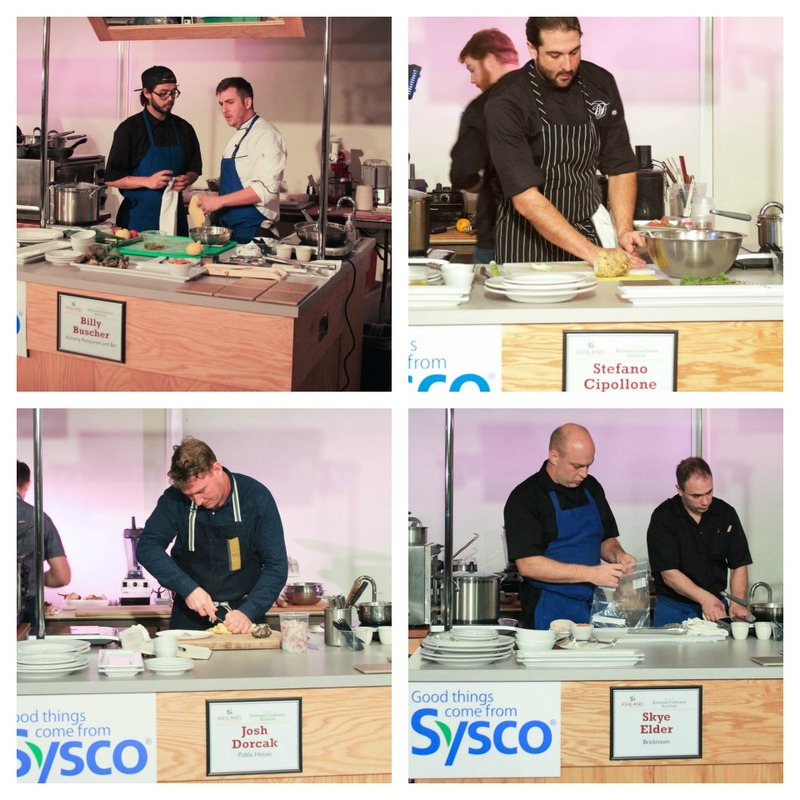 An awesome weekend of competition and having them put their all into the dishes that we will be judging is always fun and super entertaining to watch! Good luck to each of these chefs and as always, thank you for working so hard and allowing us to judge the creative fair for the competition. I am looking forward to it! Javier Cruz from Standing Stone Brewing Co.
Like I said, so much going on! This year we’ve added a junior chef competition on Saturday morning. It’s just like the main competition but with high school chefs, and mentored by Ashland’s own 2016 Bite of Oregon winner, Billy Buscher! The winner of the junior competition will be shadowing the judges to see what it’s like to judge food competitions and what judges look for in a great tasting cohesive dish. I love mentoring youth that love to cook, so I am looking forward to hanging out with the winner! I’ll be teaching a class Sunday morning too! Homemade Oregon Granola Holiday Gift Treats! You can buy tickets for this class here! Blending Oregon ingredients with handmade gifts for a more thoughtful and tasty holiday season! Oregon has a bounty of ingredients perfect the holidays. What better way to celebrate than with handmade gifts for friends and loved ones. We’ll be making and snacking on Oregon Granola for this class. I’ll be highlighting Oregon’s local flavors with olive oil, honeys, nuts, and berries all from this beautiful state. This treat is perfect for healthy and homemade breakfast as well as a sweet handmade host or hostess gift for all of the holiday fun to come! Eat a granola snack and learn to customize this homemade treat! We’ll be serving granola with yogurt, so come a little hungry. It’s a lot going on, and I am super happy to be a part of all of this goodness. I hope to see you there! Disclosure: This is a compensated post in collaboration with the Ashland Chamber of Commerce. As usual all opinions are my own. Thank you for supporting the companies and events that support NJB!